Professor Giuseppe Cantatore graduated in Medicine in 1980 at the University of Rome “La Sapienza”. In 1983 he specialized in General Dentistry at the same University. Prof. Cantatore taught Endodontic at the University of L’Aquila from 1987 to 1991 and of Rome “La Sapienza” from 1992 to 1998. From 2000 to 2014 he has been Associate Professor of Endodontics at the University of Verona-Italy. From 2014 he is Professor of Endodontics and Restorative Dentistry at the University San Raffaele in Milan. 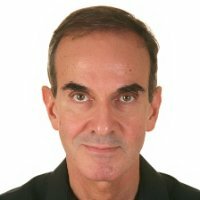 Dr. Cantatore is Author of more than 100 articles mostly related to Endodontics published on National and International Dental Magazines. As an International Speaker Dr.Cantatore gave Precongress Courses, Workshop, and Presentations during the most important International Meeting; among them the American Association of Endodontists, the IFEA (International Federation of Endodontic Associations) and the European Association of Endodontists (ESE). At the present moment Dr.Cantatore is Past-President of the European Society of Dental Microscopy (EFAM), Past-President of the Italian Society of Endodontists (SIE), Past President of Italian Association of Dental Microscopy (AIOM), and honorary member of the Libanese Society of Endodontics. Dr. Cantatore lives and works in Rome with clinical practice limited to Endodontics.